Earlier today, the Trump administration released its proposed budget for FY 2019, which begins October 1. Like last year, the Trump budget includes a chapter on evidence-based policy. But first a run down on some of the major budget items of interest to the evidence community. Here are the budget highlights for some of the most prominent evidence-related programs. Overall Research & Development Budget: The budget is proposing a 2 percent increase in overall federal spending on R&D, or about $118.1 billion under a new OMB definition of the term. However, all of the proposed increase is defense-related. The budget proposes cuts for most domestic research programs, including cuts in funding for NIH and the National Science Foundation. Education Research and Innovation (EIR) program: The budget proposes a significant increase for this program (which is the successor to i3), from $99 to $180 million. The detailed budget justifications suggest that the administration wants to repurpose most of these funds to support STEM programs. (See pp. 21-22 of that document). Institute of Education Sciences (IES): The budget proposes a significant cut in funding for IES, the major evidence-building agency at ED. Overall funding would drop from $658 to $522 million. Most of the reduction would come from eliminating the Regional Education Laboratories (RELs) and funding for Statewide Longitudinal Data Systems (see below). More information is available in the IES budget justifications. Social Innovation Fund: Just kidding. It’s still dead. But the budget is proposing eliminating CNCS as a whole. See below. Teen Pregnancy Programs: The budget continues funding for the Personal Responsibility Education Program (PREP) at $75 million. (See SIRC’s previous story about these programs). However, it would eliminate the Teen Pregnancy Prevention (TPP) Program, currently funded at $101 million annually. 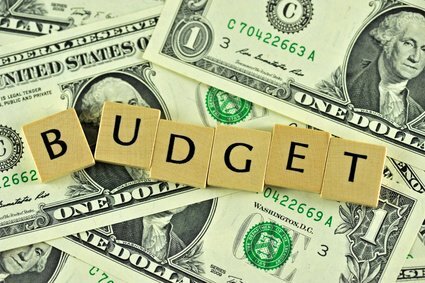 Here are the links for the overall agency budgets. Department of Education: Main budget document and detailed budget justifications. Department of Health and Human Services: Main budget document and detailed budget justifications. Department of Housing and Urban Development: Main budget document and detailed budget justifications. Department of Labor: Main budget document and detailed budget justifications. The evidence chapter generally shows a continuation of past support for evidence building and evidence use. It builds on similar language in last year’s budget (see Chapter 6). Here are the highlights from this year’s budget. Evidence Commission: The evidence chapter endorses the vision of the Ryan/Murray Commission on Evidence-Based Policymaking. “The Administration supports the Commission’s vision and believes that evidence-based policymaking is a cornerstone of effective and efficient government.” The chapter also endorses a comprehensive federal data strategy, a central focus of the commission. It does not appear to go so far as to endorse the evidence commission’s proposed National Secure Data Service, which may be a heavier lift politically. Resources for Evidence Building: In the evidence chapter, the administration admits that there is “tremendous variation” among federal agencies in their evaluation capabilities. It endorses the creation of “centralized, independent evaluation offices” at each agency. It endorses agency funding set asides and flexibilities to ensure that there are sufficient resources for evaluation and that they are well utilized. For low-capacity agencies, it singles out efforts of the Office of Evaluation Sciences (OES) at GSA, which has been pairing federal agencies with outside evaluation experts. This work has also helped some of the agencies use administrative data in low-cost evaluations. Learning Agendas: The evidence chapter endorses the continued development and use of agency learning agendas, which are planning documents that direct agency evaluation activities over the course of several years. Learning agendas were also discussed (in somewhat greater detail) in the chapter in last year’s Trump budget (see chapter 6). Evaluation Principles and Practices: The evidence chapter supports the development of evaluation principles such as rigor, relevance, independence, transparency, and ethics. It cites several related actions, including the creation of the Chief Evaluation Office at DOL and new guidelines for monitoring and evaluation of foreign assistance. Another example is the evaluation policy at the Administration for Children and Families. Data Use: As mentioned above, the evidence chapter endorses a comprehensive federal data strategy. It also specifically proposes giving federal agencies greater access to the National Directory of New Hires to help improve evaluations and performance monitoring that rely on employment and earnings data. Much of the budget’s thinking on data is included in its separate chapter devoted to strengthening federal statistics. Just like last year, the budget includes a chapter devoted to major savings and reforms, which uses evidence to justify a number of proposed spending cuts. That is a legitimate use of evidence, albeit a partisan one. Choice Neighborhoods: The budget proposes eliminating this program at HUD, citing several early reports on its impact and saying the program’s purposes would be better accomplished by states and local governments (p. 48). Community Development Financial Institutions (CDFI): The budget proposes eliminating funding for CDFI grant programs at Treasury, saying that the needs for this program can be better addressed by privately-provided capital and financial services (p. 83). Community Services Block Grant: The budget proposes eliminating this program at HHS, saying it is duplicative and that funds are not tied to performance (p. 41). Corporation for National and Community Service (CNCS): The budget proposes eliminating this independent agency, saying that some of its programs have failed to demonstrate impact and that its functions should be supported by the private sector, not federal grants (p. 94). Social Services Block Grant: The budget proposes eliminating this program at HHS, saying it lacks strong performance measures and that states have not demonstrated that they are using the funds effectively (p. 137). Statewide Longitudinal Data Systems (SLDS): The budget proposes eliminating this program at ED, saying it has already accomplished its mission of establishing statewide data systems (p. 30). OMB Director Mick Mulvaney has previously said he would like to revive the Program Assessment Rating Tool (PART), which the Bush administration used to tie evaluations to budget decisions. Elements of that approach are present in this section of the Trump budget. Such cuts are probably the primary reason why the Heritage Foundation has a track record of supporting evidence-based policy. Last year, the left-leaning New Republic had a bit of fun with Mulvaney, labeling him a “Trump goon who wants poor kids to go hungry.” Expect another round of that rhetoric this time, too. No one said politics was easy. Interestingly, the Bipartisan Policy Center has suggested that Congress might consider creating a more bipartisan version of PART, perhaps at CBO. We might hear more about that in the coming weeks. This entry was posted in Evidence. Bookmark the permalink.